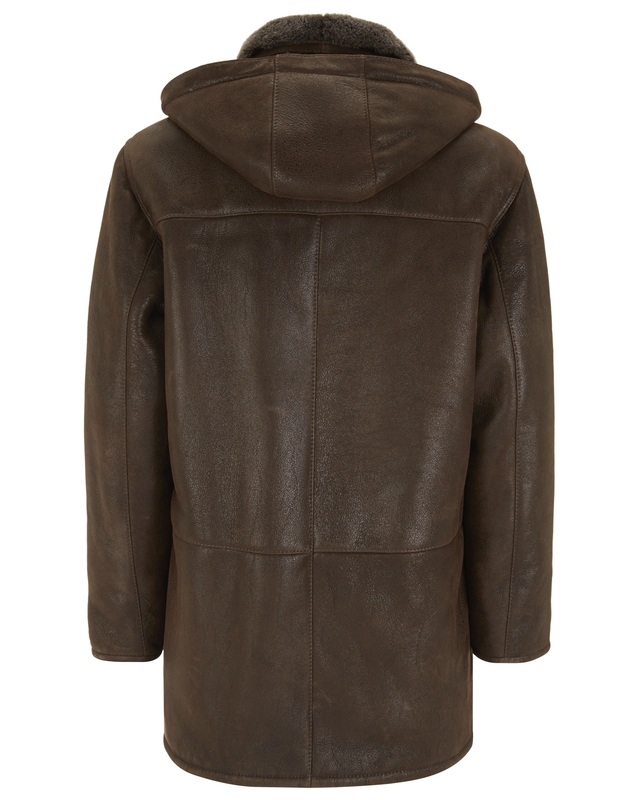 A classic duffle coat crafted from warm and insulating shearling. 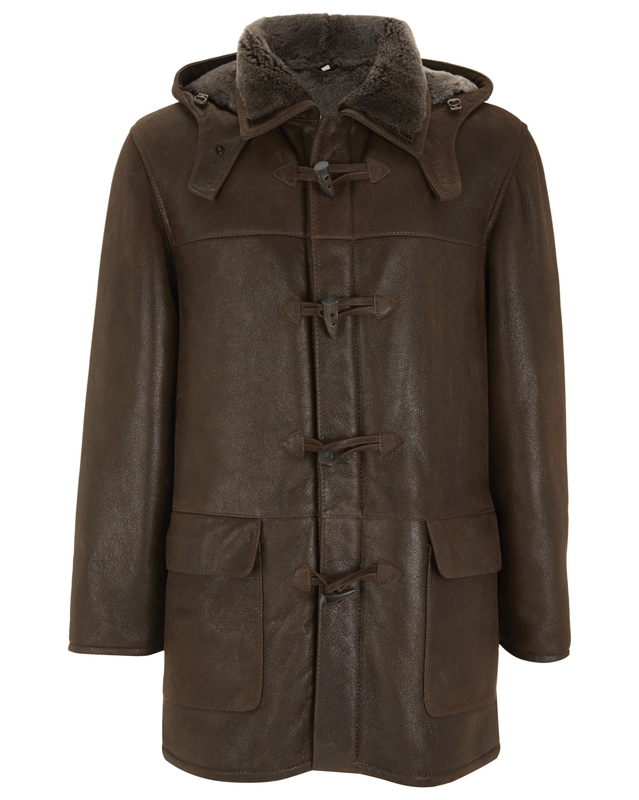 This casual men’s coat features a collar and hood that buttons at the neck for added warmth, traditional toggle fastenings and two generous pockets to keep your hands warm. 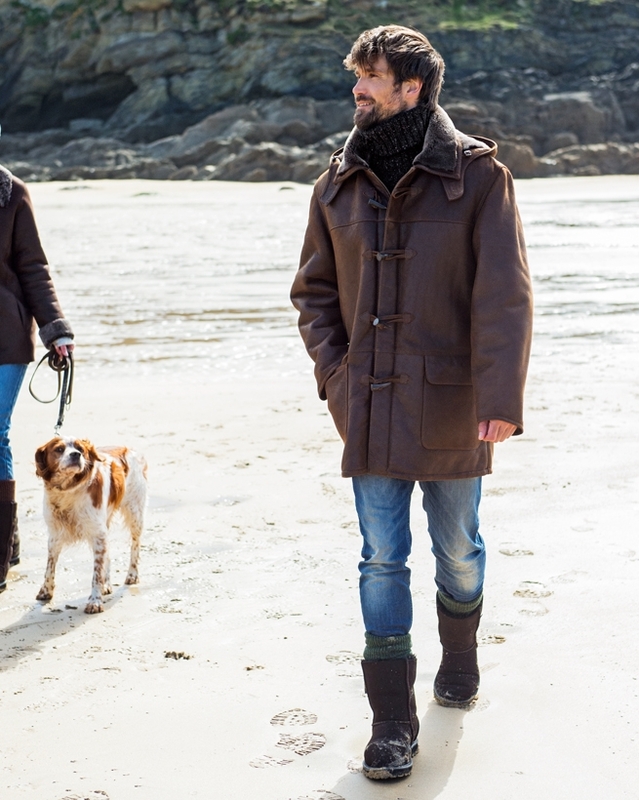 In an easy fit, so you can layer it over a chunky sweater on really cold days.